The world came together last week in a rare moment of solidarity following the abhorrent slaughter of what was, by all accounts, a very popular lion. When the now-infamous dentist from Minnesota unleashed the bolt from his crossbow, he ignited a global fury by taking down this beloved lion – though it required another 40 hours of pursuit before the dentist finally found the badly wounded Cecil and ended his life with a rifle. Officials in both the United States and Zimbabwe are seeking the offending trophy hunter for questioning, and calls for indictments and policy changes rose out of the online outcry. Our own petition calls for the U.S. Fish & Wildlife Service to reconsider exempting some trophy hunters from what would otherwise be a solid ban on importing African lion trophies after a proposed listing is final. 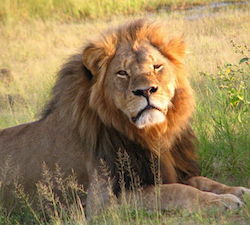 Cecil’s death was strikingly similar to the killing of another beloved animal closer to home. 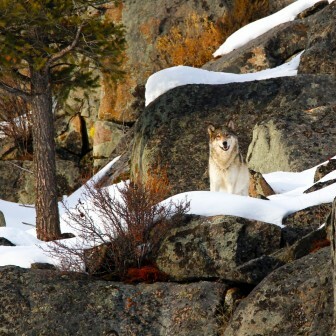 In December 2012, a hunter shot and killed what was then Yellowstone’s most popular wolf. Scientists studying her knew her as 832F, while others called her the ‘06 Female or ’06. She was a six-year-old, radio-collared alpha female from the Lamar Canyon Pack that roamed Yellowstone National Park. The Wyoming trophy hunter that killed 832F was, by many accounts, acting legally, as Wyoming then allowed the hunting of wolves. In 2014, Wyoming was ordered by a federal judge to again protect them under the Endangered Species Act. Wolves in that state, unlike those in neighboring Montana and Idaho, are currently fully protected under the Act. While the killer of ’06 may have been acting within the law (though there is some question as to whether he artificially and illegally lured the wolf out of the safe confines of Yellowstone National Park), he was certainly acting against the public interest. Like Cecil, ’06 was the subject of ongoing scientific study and was treasured by wildlife enthusiasts. For as little as $18 (the cost of a “wolf license” for Wyoming residents), this trophy hunter was able to deprive the rest of the public from continuing to enjoy the benefits of ’06. Beyond the loss of scientific benefit in continued study, there is a clear economic cost to allowing trophy hunters to satisfy their own wants by taking animals like ‘06. Wolf-related tourism brings in $35.5 million annually to Wyoming, Idaho, and Montana. High profile wolves like ’06 are key drivers of that spending. Like Cecil, she was a park favorite that drew photographers and wildlife enthusiasts who wanted only to see her. Also like Cecil, she served a very valuable role in her ecosystem. Apex predators like lions and wolves facilitate balance by preventing other animals from overgrazing and by keeping these same populations healthy. When wolves were brought back to Yellowstone in 1995, they changed the behavior patterns of herbivores, allowing plant life to regenerate and bringing benefits across the environmental spectrum. Lions serve a similar function, keeping their ecosystems healthy by preying on ungulates, and keeping those herds and their shared habitat healthy. Tragically, these two killings bear another similarity in their immediate impact on existing social structures. Cecil’s killing will bring the ascension of another lion who will likely kill Cecil’s twelve cubs. Scientists call this the perturbation effect. When a dominant male lion is killed, other adult male members of his coalition and their offspring are often killed by the successor to his crown. The death of ’06 was equally devastating to her pack. The social structure of the Lamar Pack was torn apart following the killing of ’06 and another wolf, 754M, a beta male in the pack, who was also ‘06’s mate’s brother. The mate of ‘06, 755M (754M’s brother), abandoned the pack following the killings and left the area to set out on his own. A previously healthy, thriving pack was upended and has never fully recovered. The killing of ’06, like the killing of Cecil, was not just the killing of a lone animal. Their social structures were ripped apart. Economic, environmental, and scientific benefits were sacrificed. Hearts were broken. These killings are preventable. In Cecil’s case, the U.S. Fish & Wildlife Service can quickly act to close the U.S. market for “trophies” like Cecil’s by finalizing proposed protections under the Endangered Species Act. African lions have declined by as much as 60 percent in just three decades. If we don’t act, they could be extinct by 2050. In addition to issuing its final rule protecting lions, the Service should reconsider its planned exemption for the import of lion trophies from countries it deems to be engaging in “scientifically sound management.” Trophy hunters kill as many as 600 African lions annually. That is roughly a 2 percent loss every year, spread disproportionately onto healthy, adult male lions favored by trophy hunters. USFWS should immediately remove that exemption from their proposed listing to help lions recover and to prevent future lions like Cecil from being killed. The Service should also act to prevent the killing of the next ’06. Her death illustrates the economic, environmental, and social costs of trophy hunting of still-recovering gray wolves. The pending USFWS proposal to remove Endangered Species Act protections from most of the gray wolves in the lower 48 states has been deemed unscientific and is widely opposed. Federal courts have found their efforts to delist Great Lakes wolves lacking and have ordered them protected. Congress can help in two ways. First, members of Congress should oppose all attempts to legislatively delist wolves. Scientists, not politicians, should make decisions about endangered species protections. Congress should also quickly move to pass the Conserving Ecosystems by Ceasing the Importation of Large Animal Trophies (CECIL) Act, introduced last week by Senator Robert Menendez, D-NJ. This bill would ban the imports of trophies form lions and other at-risk species into the United States. The Cecils and ‘06s of the world need these protections from trophy hunters. Congress and the USFWS should listen to the worldwide uproar around their deaths and work to protect remaining wolves and lions. I beg you to put an end to this inhumane act of killing Lions for sport/fun. It is beyond sick. We are the guardians of the beautiful animal kingdom and we are cruel and heatless.